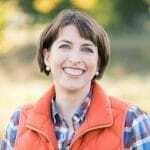 Today’s guest post is for all of those moms with little ones at home (or for those young ladies who are even thinking about a little one…)! 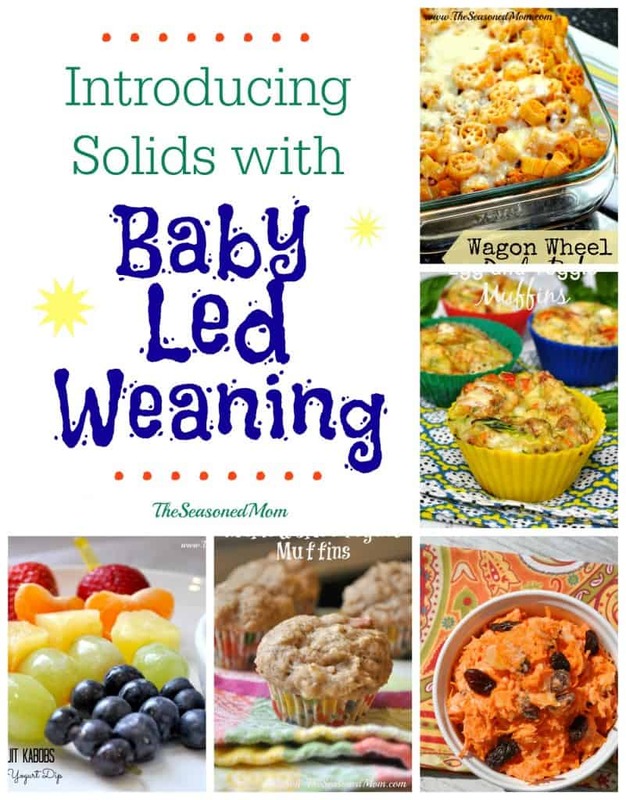 Baby Led Weaning is a relatively new term (to me, anyway), but it’s basically the way that I have introduced solids to each of my three boys — even before I knew what it was called. 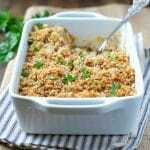 While my kids enjoyed rice cereal and other pureed foods for a very tiny window of time, they have all been most interested in eating the food that they see on our grown-up plates. The younger siblings are especially enthusiastic about eating whole food with the family, since they have spent months studying and observing their older brothers! 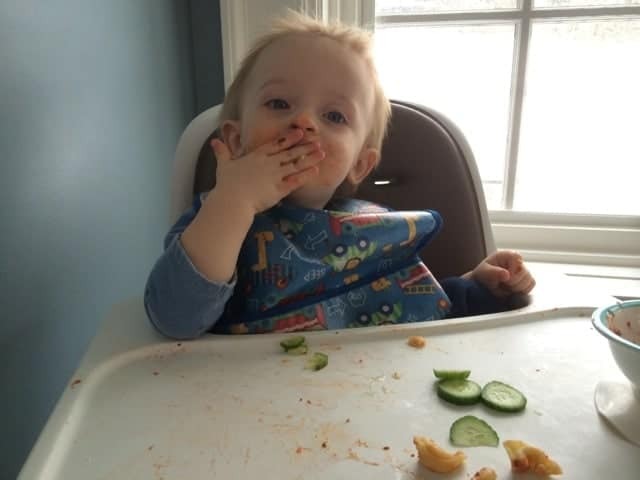 I asked my friend Robyn to share her thoughts and experiences with using Baby Led Weaning to feed her own son, in the hopes that it will encourage some of the other new moms out there to also give it a try! Robyn and I went to middle school together (what seems like) ages ago, and we have had fun reconnecting in recent years. 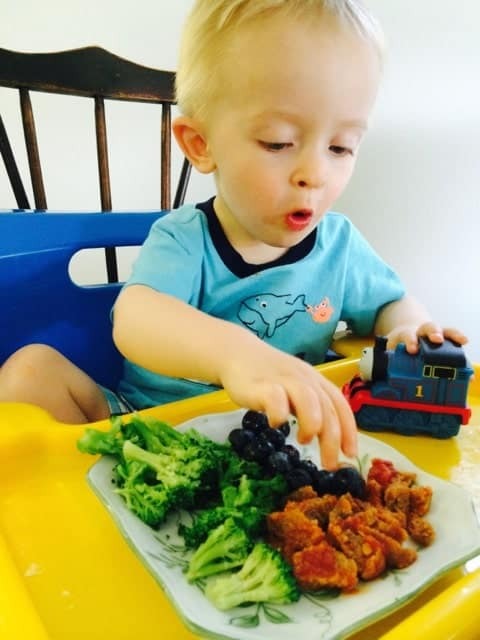 Robyn introduced her son Tristan to solid foods with Baby Led Weaning from the start, and she has tons of helpful advice and information to share. Enjoy! Disclaimer: Robyn and I are NOT medical professionals — we are just moms who love to share our own personal experiences! This information is not intended to be a substitute for professional medical advice. Always consult your pediatrician before beginning solids or baby led weaning with your own child. Those first few months of my son’s life were a blur of sleepless nights and exciting milestones — first smile, first bath, first time he rolled over. But there was one milestone I was the most excited for: solid foods. We’d been fortunate enough to have an easy time breastfeeding, but man, I couldn’t wait for a break. 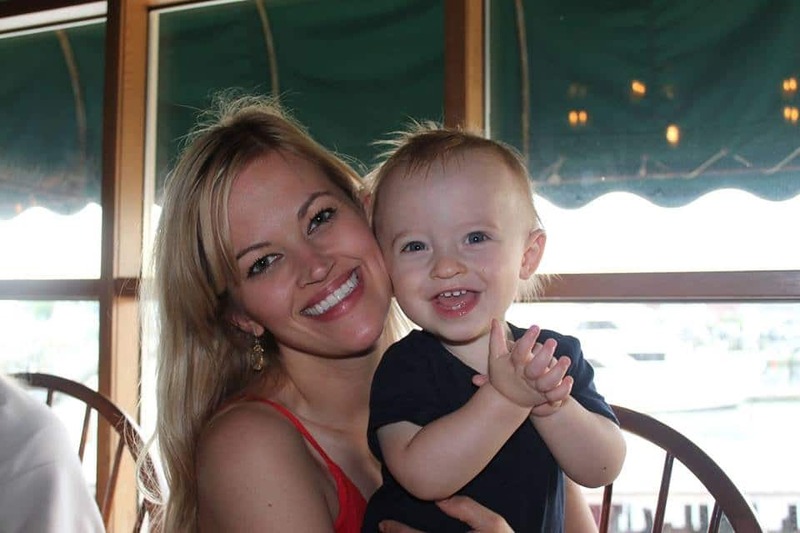 Plus I love cooking, and the idea of introducing my little man to mom’s food was so appealing. I pictured snapping pictures of his cute face covered in mashed up peas and carrots. Always one to over-prepare, I bought several baby food cookbooks and signed up for a class called “Starting Solids” at the local holistic parenting center. I showed up, notebook, pens and highlighter in hand, ready to learn all about feeding my little one. The handout was only a few pages. 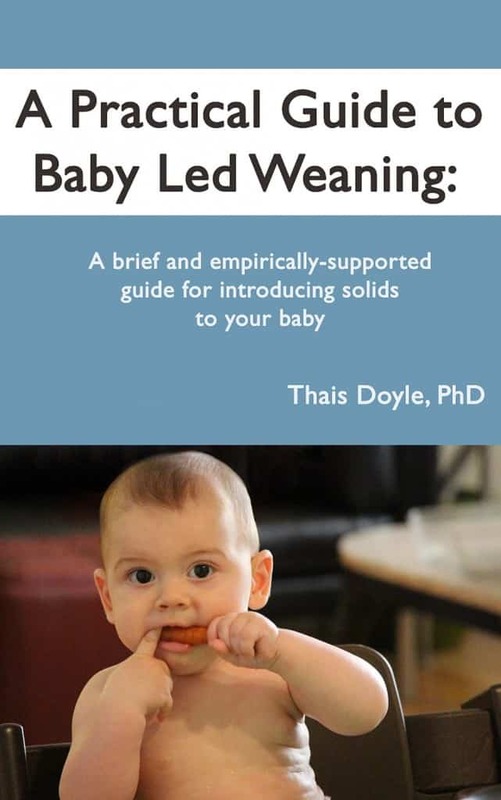 I leafed through thinking, “Surely this can’t be it?” I sat back and listened to information about something my pediatrician had never mentioned: “Baby Led Weaning”. Just give him what you eat and let him feed himself. What? No making airplane sounds and spooning stuff into his mouth? Nope. Give him real food right away and let him figure it out. This seemed way too easy. I went home and thought about it. We eat pretty well at home. We’re a brown rice and veggies kind of family, with treats in moderation. Admittedly that rice cereal didn’t look too appealing anyway. It made sense: If I want him to eat like we do, why not start him off that way? 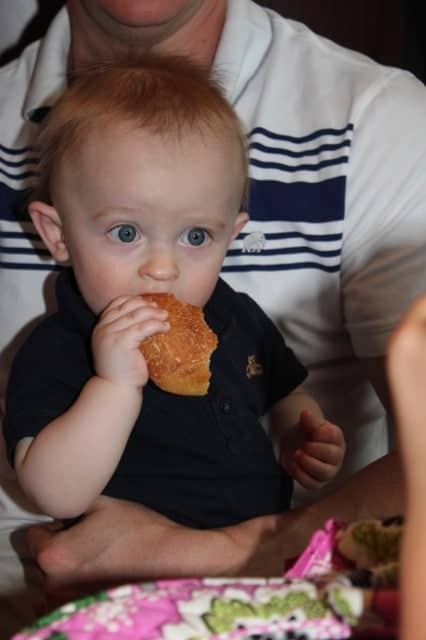 Tristan at 9 months old enjoying a baguette in Paris! And it was easy. I simply set aside a little of whatever I was making for the family and put it on his tray. We started simple, if I was making chicken stew, I’d pull out a few of the well-cooked carrots for him. An extra ripe whole banana made for an easy to gnaw-on snack. An egg white omelet for me became some scrambled yolks for him. At first much more wound up in his hair, hands and my kitchen ceiling, but within weeks he was happily eating real food. I was still mindful of introducing foods at the age appropriate time, avoiding salt, sugar and anything processed. I offered simple cooked organic veggies and fruits one at a time. And I wasn’t a total purist- there were times I supplemented with organic pouch baby food for convenience or mixed in a little applesauce to make a new veggie more palatable. 1. 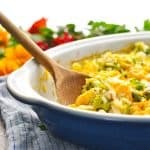 Include them early: A few weeks before I was ready to try solids for the first time, I started including my son in our meals. I set up the highchair, gave him a cup and spoon and bowl and had him join us while we ate. He mostly just banged the spoon around, but he was able to watch us eat and understand what a family meal looks like. 2. Still be mindful of safety and allergies. I was careful to only introduce one new food at a time, and to wait a few days between new foods so I could ensure my son had no reactions. Reactions aren’t always severe like anaphylaxis , they could be a rash or upset tummy that takes a little while to show up. Only introduce new foods at breakfast or lunch so you can be awake to check for any kind of reaction. No one likes late night trips to the emergency room. Keep track of everything you introduce. I kept this food chart taped up in the kitchen and highlighted foods as we introduced them so babysitters and grandparents knew what was okay to give him. If something wasn’t popular, I waited and tried again in a few weeks. Because you’re feeding them whole foods instead of purees, you need to be extra mindful of choking. Steam or roast vegetables well, such that you could mush them with your fingers. 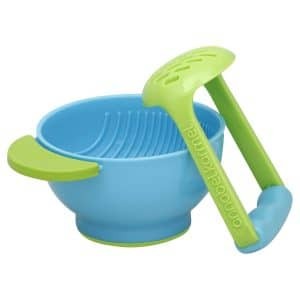 I found the Nuk Mash & Serve bowl helpful in making hard foods easier to manage. Take a CPR class and be sure to sit with your child while they’re eating so you can intervene if necessary. 3. Trust their instincts and let go of control. There will be meals where all my son eats is his pasta, and another meal where he’ll eat a whole pint of blueberries. There was even the famous day of five yogurts. 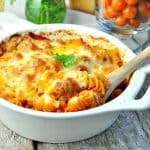 If I worried about what my son eats in a single meal, I would go insane. The best advice I heard was to look at what they eat in a week, not a day. I’ve found that if I offer all foods, but trust him to eat what his body needs, in a given week he’s a very balanced eater. 4. Be ready to destroy your kitchen. The whole point is to let your baby experience their food. This understandably involves a huge mess. Forget plates at first, they just turn into Frisbees. 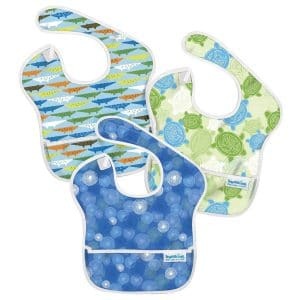 Invest in a ton of bibs. When in doubt, strip them down to a diaper for dinner. 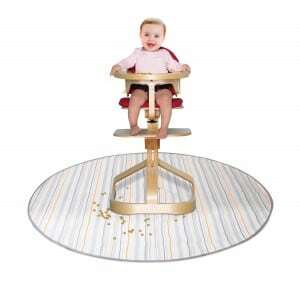 A splat mat under the highchair is also key for easy cleanup. 5. Don’t be afraid to experiment. Definitely start off easy as their tiny taste buds and digestive systems are learning to deal with this new experience. 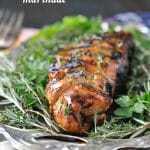 As time goes on, as long as you’re careful about salt, you can experiment with spices. A little cinnamon on roasted banana, basil in tomato sauce- I was shocked that my son even liked cumin in his avocado for some “baby guacamole”. Now as an almost-two year old my son loves everything from veggies with hummus to tandoori chicken. He is a fantastic eater who loves to try all kinds of foods. I know he may still go through a picky phase, but I trust that I’ve given him a good start to loving all kinds of food. Just a few additions from Blair: If you’re interested in reading more about Baby Led Weaning, I would recommend these two books. 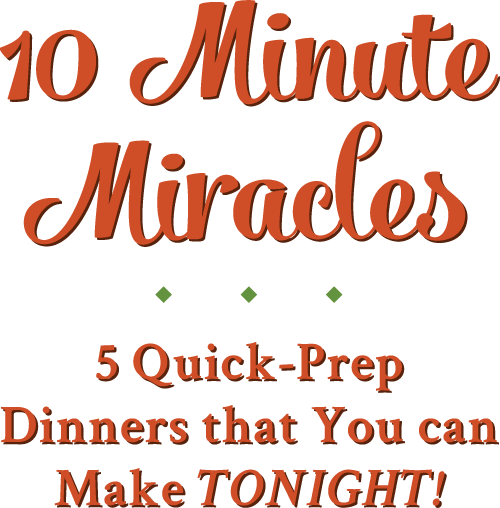 They’re great resources that are very straightforward and quick to read. 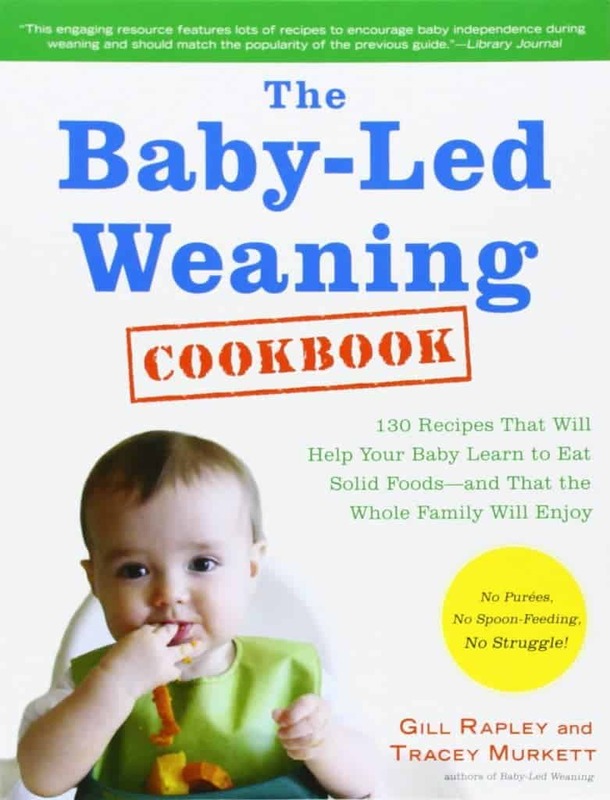 I am going through this right now I just never thought it was called baby led weaning. It’s great, right Cindy? I love how it makes feeding a little one so much easier, and the babies seem so much happier! Thanks for all the info. I’m sharing this with mom and dad of my twin grandsons. Thanks for sharing at What’d You Do This Weekend. I was a little nervous doing baby-led weaning with my first, but we kind of just fell into it after giving up on feeding her purees she didn’t like. We just started with our second, and it’s going super well! There’s more on her face and bib than what goes in her mouth, but that will change soon I’m sure.